I had great intentions of posting this earlier. For whatever reason, I’ve been dragging my feet today. Which is silly really, because I have a BEAUTIFUL polish to show off! I was stumped over what polish to feature today for Try It On Tuesday- even though probably 75% of my polishes are untried- and had originally settled on O.P.I.’s Metallic 4 Life. 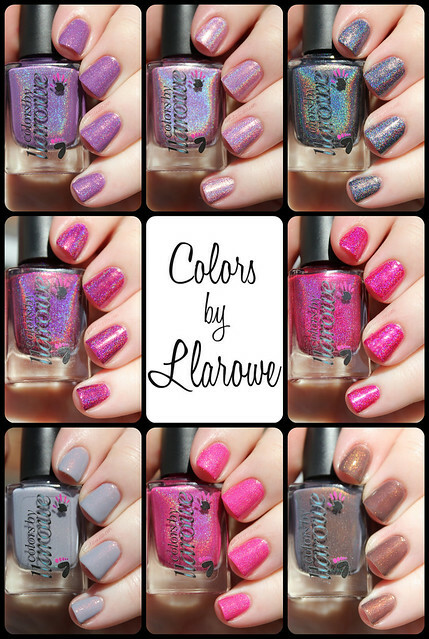 Then this morning (before I had painted my nails), Llarowe announced on Facebook that today’s Brand of the Day would be Enchanted Polish- and I just happen to have 1 lone Enchanted Polish that is untried! I was planning on saving this for an Indie Wednesday, but I decided to bump it forward a day instead! 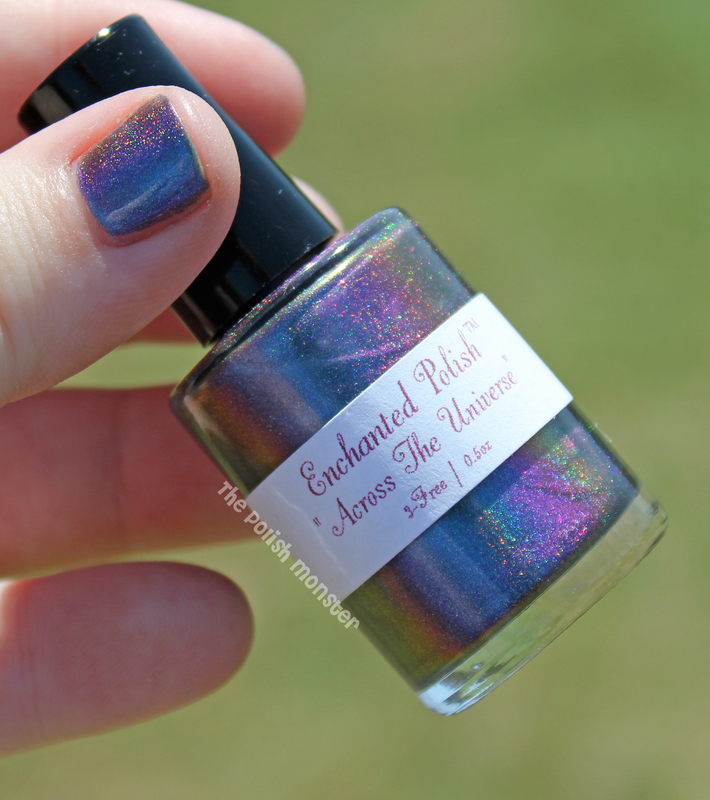 I was lucky enough to snag Across the Universe during Llarowe’s generous Birthday Sale. I think this is the *only* polish I have ever opened and gasped out loud when I first saw it- when there was no one else around. Stunning is an understatement! 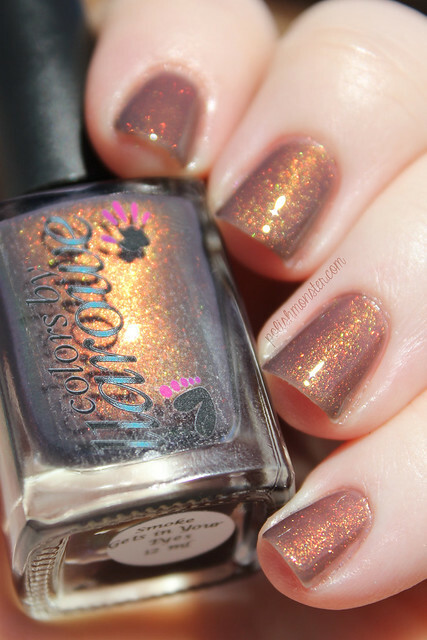 Across the Universe is a multichrome holographic nail polish. As you can see above, in the bottle it shifts from green-gold to blue to purple, though on the nails it’s really more of a purple to blue shift. 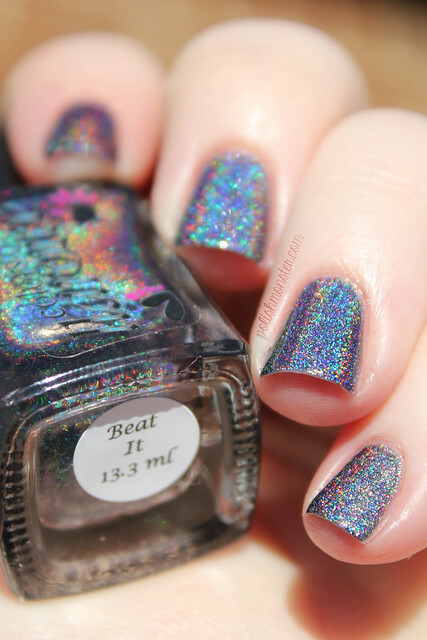 The scattered holo effect is very vibrant and stunning. This polish went on easily and smoothly, and didn’t require much clean up. Another bottle shot- truly, I can’t stop staring at this bottle. So stunning! I took all of these outside in the sunlight to maximize the holo goodness. I did notice on some earlier photos the way the sun hit my nails, it looks as if I have a giant spot of unpainted area on my pointer finger. As you can see in the picture above, that’s not the case- it’s just a very weird instance of lighting. 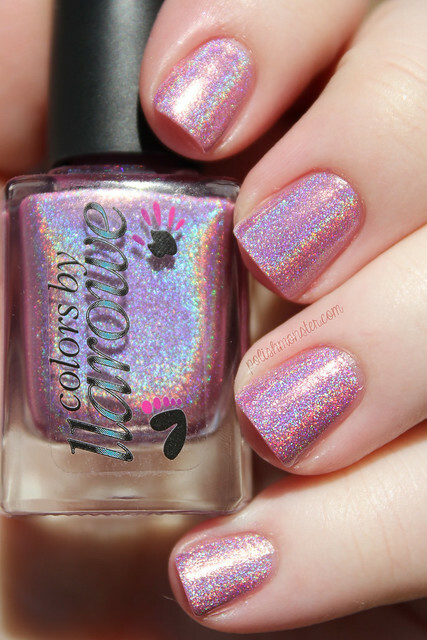 And finally, here’s a closeup of a nail to show off that holo sparkle! 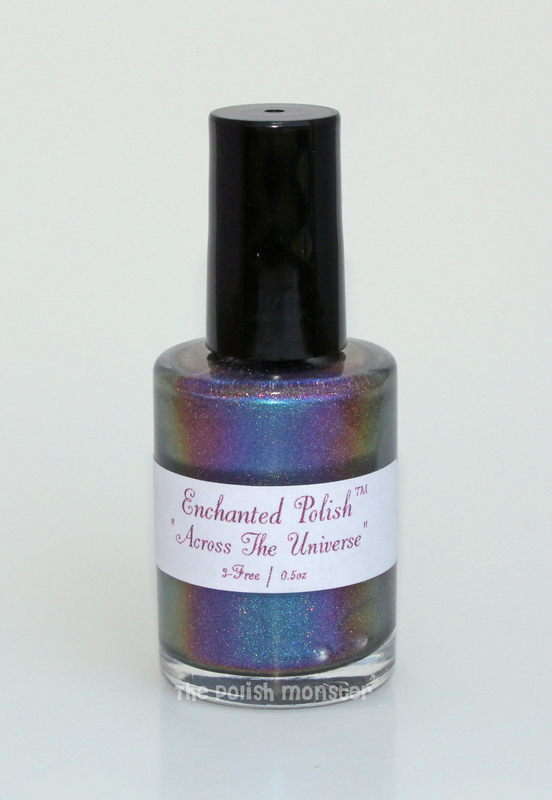 You can find Enchanted Polish and Across the Universe at Llarowe’s , and also on Etsy and Harlow & Co. Go check them out! Here’s a list of everyone participating in Try It On Tuesday- go check out their posts as well! And for those that have made it all the way to the end: Enjoy!